Our range of products include amf panel. Known for its steady performance and enhanced serving life, AMF Panel is precisely designed using cutting-edge machines, which are based on advanced technology. 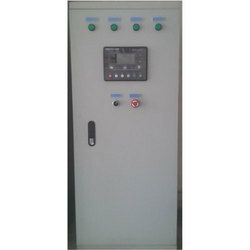 The panels are widely used to control DG START / STOP sequence as per the availability of the power supply. Offered panels are highly demanded in the market for their optimum performance.